Keenan Archer is training to become a professional pilot. The thrill of piloting a small airplane for the first time helped Keenan Archer realize a career in the sky was right for him. That brief experience at the controls was during a “familiarization flight” under the supervision of an instructor from Professional Flight Centre. Professional Flight Centre, based in Delta, has partnered with Douglas College to offer the new Associate of Arts for Future Professional Pilots program. Academic courses are taught at Douglas while flight training and other instruction takes place at Professional Flight Centre’s location at Boundary Bay Airport. 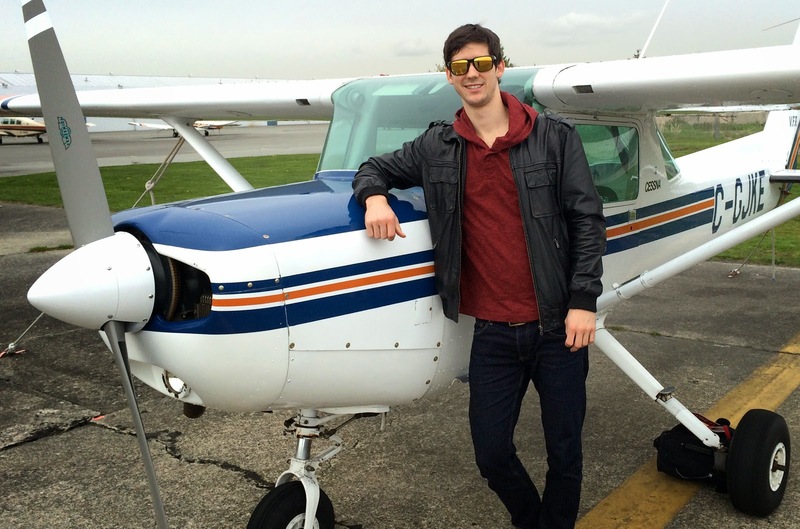 With aviation-relevant courses such as geography and psychology offered in the two-year program, Keenan believes the post-secondary degree will improve his employability as a pilot. His goal is to build up his flight experience and one day work in the cockpit for a major airline. Training on single-propeller planes, Keenan has so far earned a private pilot’s licence and is working toward his commercial licence. “One of the challenges in aviation is you’re always focusing on many things at the same time,” he says. But he’s up for the challenge. And what advice does he have for others curious about a career in aviation?